This watch is also known as: W62041V3 , W62041V3(orCRW62041V3) , W62041V3-SD . 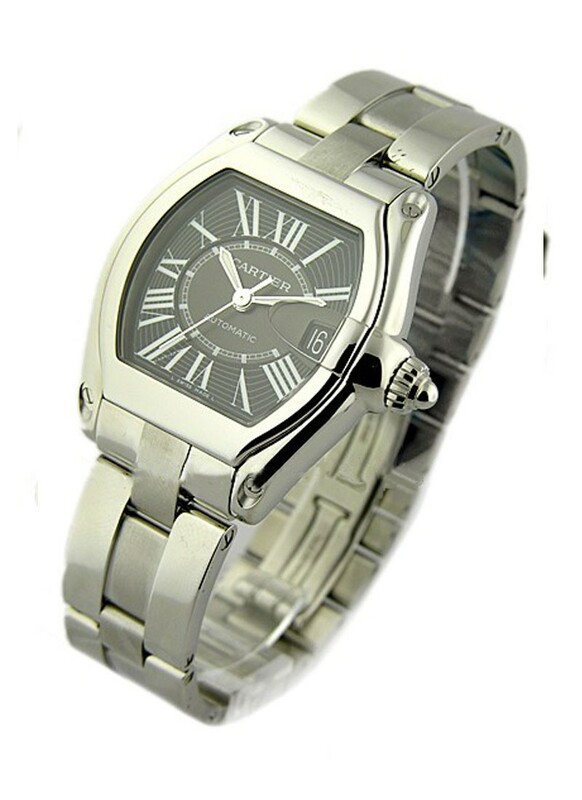 The beauty of simplicity reveals with you have this best watch model name Cartier Roadster Men's Automatic - Large Size Stainless Steel - Black Roman Dial which have the automatic movement, steel case and it has 44 x 37mm x 44mm. 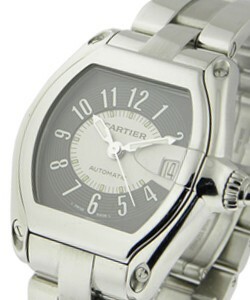 Cartier model #: W62041V3 watch has Triple link bracelet in brushed and polished steel, this watch you can see its outer look that is firm, never been touch and have a high quality level of raw materials. 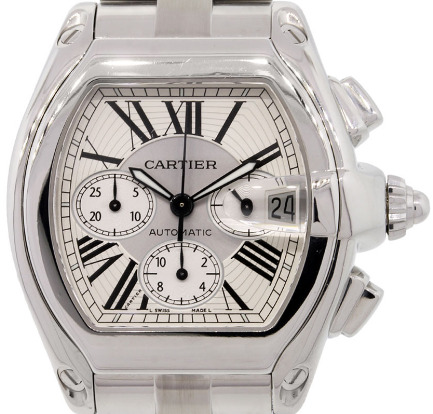 Cartier Roadster Men's Automatic - Large Size Stainless Steel - Black Roman Dial model #: W62041V3 watch have an adequate strap, it has a Roman number clock and a luminous hand clock. 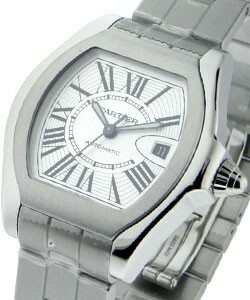 The antecedent of Cartier is excellent, as it fabricated many styles of chronometers that are still produced today. Fathered in 1847 by Louis-Franois Cartier, this company was genuinely a jewelry boutique. 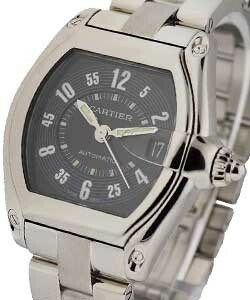 The first wrist watch made by Cartier was called the Santos Dumont named after the Brazilian Aviator in 1904. 2 years later, Cartier began experimenting with jewel ? encrusted watches. 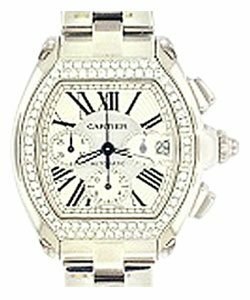 1917 saw the introduction of the famous Cartier Tank watch. 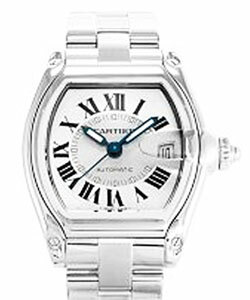 Cartier model #: W62041V3 watch best watch creation of Louis-Franois Cartier.